Seats on St Helens Council are up for grabs across 16 wards, with all five major parties represented as well as two independent candidates. The current make-up of the council is Labour (41), Liberal Democrat (3), Conservative (3) and independent (1). As only a third of seats are up for election, the council will remain Labour-controlled no matter what the result. 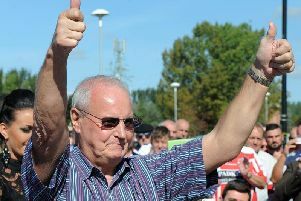 With just under three weeks left, we have compiled a breakdown of information ahead of the crucial vote in St Helens on May 2. This year there are candidates from Labour and the Conservatives in all 16 wards, while the Green Party has entered 14, Liberal Democrats six, UKIP three, plus two independent candidates. You vote for the candidates in the ward you live in, with those elected to serve on the council for a term of four years. A councillor’s primary role is to represent their ward and the people who live in it, providing a bridge between the community and the local authority. It is important to note that councillors differ from council officers, who are employed by the council. Officers are responsible for the practical development of council policies and procedures and help ensure local services are delivered. While councillors receive a basic allowance, they are not paid employees, unlike council officers. Like elsewhere in Merseyside, communities across St Helens have united behind the issue of green belt development, with anti-green belt groups forming in Rainford, Rainhill, Haydock and more recently in Bold. Currently, 65 per cent of the borough is in the green belt. The submission draft version of the St Helens Local Plan set out intentions to cut this to 59 per cent. The submission draft also proposes to allocate land to accommodate the delivery of 486 houses per annum, which is less than the 570 homes that was proposed in the previous version. While both these figures have gone down, communities are still concerned about the impacts any large-scale development is going to have on the local infrastructure, particularly those on the borough’s green spaces. People have been concerned and frustrated by the state of St Helens town centre for quite some time. The council unveiled grand regeneration plans in 2017. But since then the only significant development that has been revealed to the public has been the acquisition of Church Square Shopping Centre for £26.6 million in October 2017. While there have been numerous additions to the town centre last year, including several new restaurants and St Helens Superbowl at West Point, they have been offset by the loss of Argos and Marks and Spencer from the high street. The town centre is also still without a library, more than two years on from the closure of Central Library based in the iconic Gamble building. Frustrations around the situation are growing and voters will be keen to see a resolution in the coming year. The past two years has seen services hit with a raft of brutal cuts in an effort to claw back £20.6 million. This has meant the quality of some services has gone down while residents have been asked to pay more through annual council tax rises. Council chiefs said this year’s 2.99 per cent rise will provide sustainable income that will protect “vital services” at a time of “reducing central government support and increasing service demands”. Cath Fogarty, the council’s strategic director of corporate services, recently warned the local authority was in the midst of a crisis as it faces “unprecedented level of future of uncertainty” around its future financial resources. With households feeling the pinch more than ever, residents want to be assured they won’t be the ones who have to pay the price yet again. Rainhill is the one to watch this year, with independent candidate Donna Greaves looking to cause an upset by taking the seat from Labour. Politically, Ms Greaves is cut from the same cloth as James Tasker, the independent councillor who crushed Labour’s Stephen Glover last May. Ms Greaves will be looking to deliver a similar devastating blow to Coun Joe De’Asha, who until recently was the Labour group’s chief whip. Coun De’Asha is also one of the longest-serving members on the council, having served on the council for almost three decades. With that in mind, Ms Greaves, a prominent green belt campaigner, will be looking to send a strong message to Labour that residents will not stand idly by while the council offers up the area’s green spaces to developers. The most common way people vote is by heading to the polling stations. 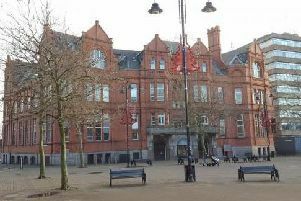 The counting and declaration of the results will take place at St Helens town hall.